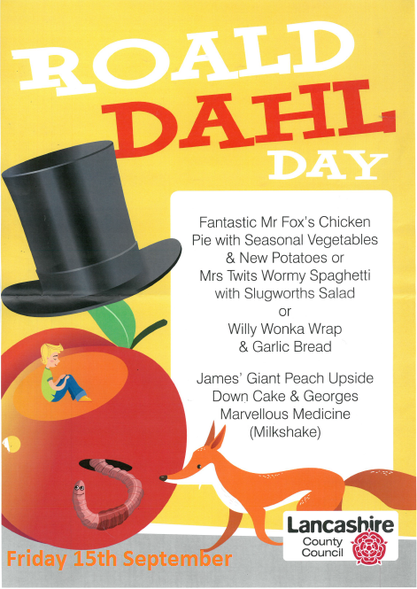 On Friday 15th September, the children will be treated to a special Roald Dahl themed lunch in celebration of Roald Dahl day. If you would like to book the lunch, a form will be sent out next week. If your child already has school dinners then you will not need to do anything. Please return the form and money to the school office as soon as possible.